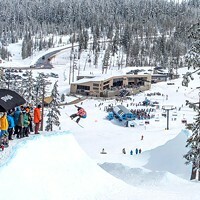 The brainchild of ESPN alchemists, the X Games has been a focal point for athletes in many disciplines including skateboarding, rock climbing, snowboarding and snowmobile racing since its inception in 1995. The games attract millions of viewers and the biggest names in their respective sports. From Tony Hawk and Travis Pastrana, to Kelly Clark and Shaun White, the X Games have become as popular and important as a World Championship or Olympic event. During the most recent X Games event in Aspen, Colo., two local athletes, Ben Ferguson of Bend and Darrin Mees of Redmond, both made the finals but missed out on medals. 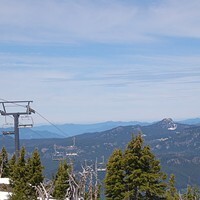 Darrin Mees of Redmond placed 4th in the recent 2019 X Games, competing in the growing sport of snowbiking. Darrin Mees grew up in Long Island, N.Y., before eventually moving to Minnesota, where he became a professional snowmobile racer. "During my racing career, we visited Central Oregon a few times and fell in love with it. 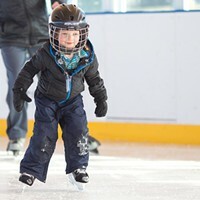 We wanted to start a family and the decision to move was made," says Mees. Without major sponsors, or a team, Mees carves out time to race as his schedule allows. He's considered a privateer—one who races for the love of racing, without major sponsors. He holds a full-time job as a crane operator, is a father and husband, and works on his own equipment. Unlike the professional athletes who have huge budgets, physios, mechanics and race support, Team Mees consists of his wife, two daughters and a few close friends. 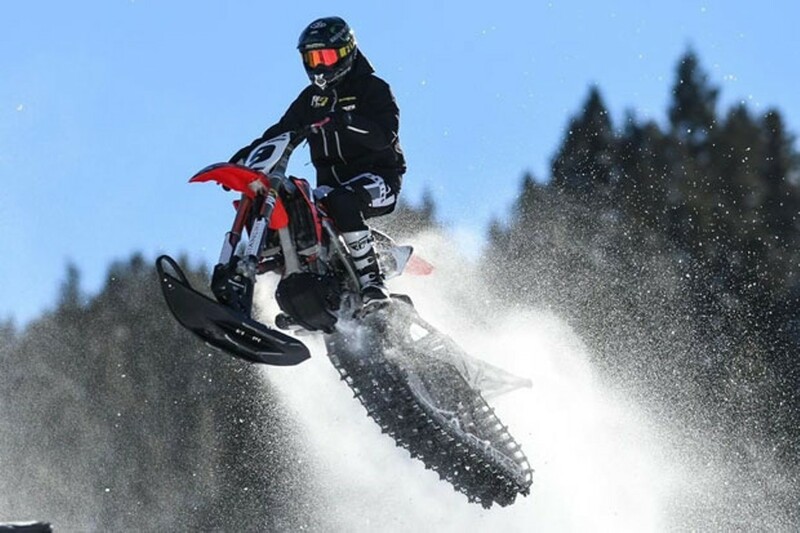 After years as a professional snowmobile racer, Mees moved into the growing sport of snobiking. A snobike is a two-wheeled dirt bike, transformed into a slim-looking snow machine. Companies including Timbersled and Moto Trax build conversion kits that turn dirt bikes into sleek, high-performance snow machines. True to his DIY operation, Mees found that stock suspension systems were not to his liking, so he began tweaking designs in his garage. Eventually, he started a business, M9 Suspension. "At the premier level of racing, suspension systems have to be totally dialed. I had gone out and invested over $4,500 on top shelf parts and had crappy results. My first go at suspension building turned out pretty good, and as time went by, my designs improved. Soon, my friends were asking me to build them systems, and it quickly became apparent that I should start a business," says Mees. Since starting M9, Mees has seen much more consistency in his competition performances. With back to back 4th-place finishes in the X Games, held Jan. 24 to 27, Mees has shown the world that natural talent and a burning desire to succeed have as much to do with high finishes as a big budget and fully sponsored team. In the 2018 Winter Olympics in PyeongChang, South Korea, Central Oregonians were glued to their seats as Bend local Ben Ferguson fought for a medal, eventually placing 4th, just shy of a bronze. At this year's Winter X Games competition, Ferguson once again found himself in position for a top-level performance, but was edged out of the medals, landing in 6th place in the superpipe. Ferguson was a legend long before winning a Silver Medal at the 2016 X Games in the superpipe competition. He was not immediately available for an interview with the Source Weekly, but in an interview with Snowboarder, he said, "My dad taught me how to work hard. There's no point in doing something if you're not going to be trying your hardest. And it feels good when you work really hard and you accomplish something." Will Old Man Winter Have Teeth or Dentures?